SUMMARY: This week's Email Marketing article is a free excerpt from the MarketingSherpa 2013 Email Marketing Benchmark Report, featuring the latest MarketingSherpa research from 1,095 surveyed marketers. This is a free download -- no registration required -- including the executive summary along with eight charts with insights into email marketing. Featuring the latest of MarketingSherpa’s research, this week’s Email Marketing article is a free excerpt of the MarketingSherpa 2013 Email Marketing Benchmark Report. 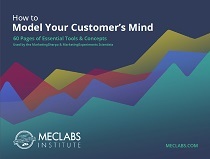 This free download — no registration required — includes the executive summary along with eight charts with insights into what new developments are affecting fellow marketers most in the coming year. Based on information gathered from 1,095 surveyed marketers, this research provides insights into the tactics and issues that will take the most precedence for email programs in the coming year. To take advantage of this marketing asset, areas for potential improvements are highlighted, the ROI of email as a marketing channel, as well as the perceptions of email marketing in organizations. Also addressed is the pervasiveness of mobile smartphones and tablets. Surveyed marketers report on the role those platforms will take in their organizations in the coming year, as well as the current one they play. Mobile will have an important role to play this year, with 58% of marketers viewing mobile as the development that will most affect their upcoming year. Currently, only 42% of marketers are designing their emails to render differently on mobile. Organizations are showing their faith in email marketing programs to produce a ROI, as 64% of marketers report that their organization believes in the ability of their email marketing program at budget time. While marketers are involved with standard email metrics, they may be overlooking other important ones if they are like 83% of surveyed marketers who are not involved with tracking, analyzing or reporting on their organization’s email metrics. Marketers are rapidly integrating other channels with their email program, such as social media, website and events, but mobile may be presenting a problem, with only 21% of marketers integrating. Mobile has support come budget time, with 48% of marketers reporting their organizations perceive the ROI percentage will increase. The findings in this excerpt, as well as the entirety of the report, show the role email will take in marketing budgets for 2013, as well as analyzing email growth trends for the past year and looking to what trends will affect email marketers in the future. Download your free excerpt -- You will not be asked to fill out a form. This is a direct download.